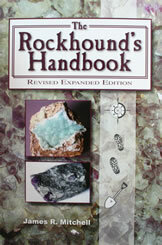 An introduction to rockhounding with basic geology, mineral and fossil identification, color photos, field methods and much more. Revised, expanded second edition. This book is a 6" x 9" paperback with 304 pages.